Tornado is a semi-dark purple with a shimmer finish. Illusion is dark cream shade with peach undertones with a satin finish. Aura (duo shade) is an iridescent white with a blue shift and an iridescent white with a red shift. Oz (duo shade) is silver and yellow gold with corresponding glitter. Magic is a medium pink with golden shimmer. South is a taupe with slight brown undertone with silver glitter. Rockstar Eye Pencil is a deep eggplant and is in the permanent range. Glinda Lip Color is light beige with peach undertones. The shadows are in the new formula which means the shadow has a smooth texture, great pigmentation and blends easily. This is true for all of the shades except for Oz. 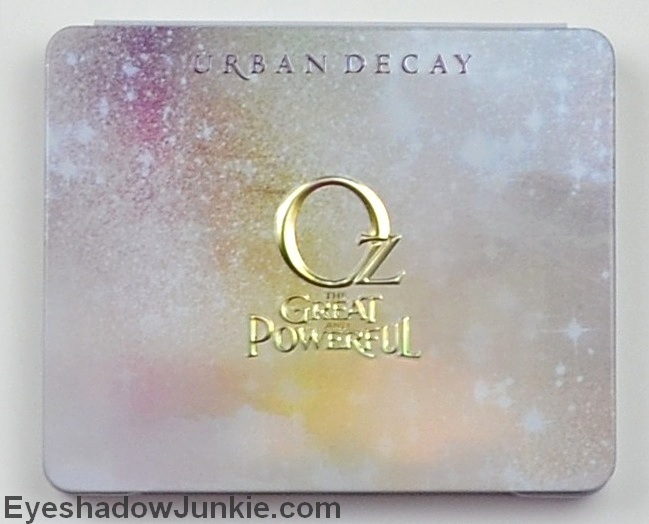 Oz has heavy glitter with a lot of fallout and wandering glitter particles. It applies better when used wet. I found Aura slightly powdery, but the iridescent shift shows up nicely when used dry, more so when used wet or over a dark base (part of the arm swatch is over Rockstar pencil). 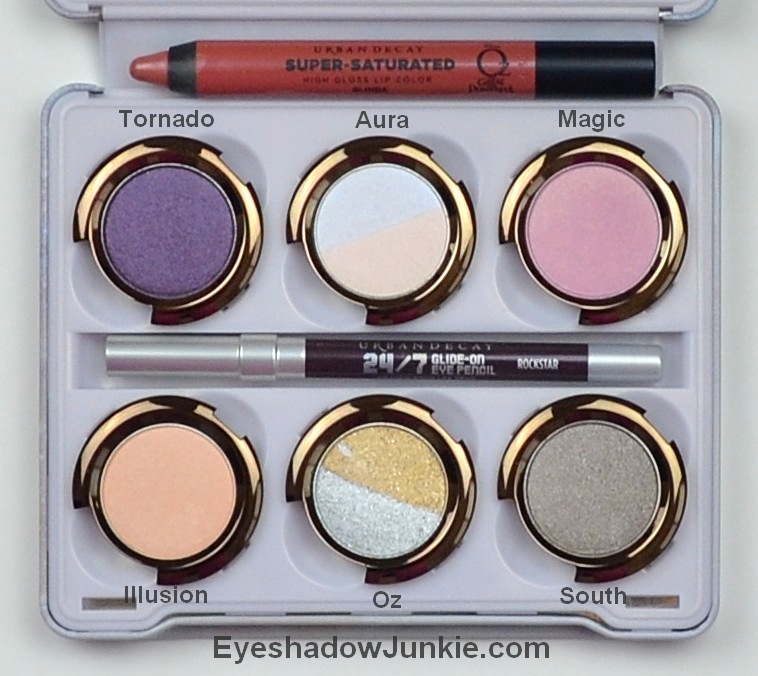 South is a shade we have seen before from Urban Decay (looking at you Vice Palette). This shade performs better from its previously released ‘cousins’. I’m a huge fan of Urban Decay pencil liners and love Rockstar. It’s a nice alternative to brown or black for a neutral eye look. I had never tried Urban Decay’s Lip Color pencils before and this isn’t the best shade to start. Glinda is too pale for my skintone, but still very pigmented. I did find the formula sticky, but the color lasted for several hours.